I didn't get into teaching and coaching for the number of wins and the money. It was a passion for trying to help young people. The local landscape is full of heroes, traditions, coaches, teams, and seasons that have impacted the fabric of your state. If you are from Wisconsin, this is a great resource for YOU! If you are from anywhere and just looking for a good sports story, this is also for you! ​Enjoy our local legends, and search out your own from wherever you are from. You may find there is more great sports history in your own backyard than you could have ever imagined! Tells the story of Mickey Crowe, a legendary prep basketball phenom whose career was stymied by drugs and alcohol, as well as mental illness. 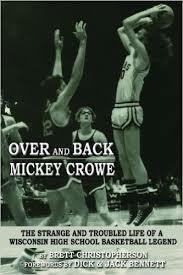 The book delves into his great basketball accomplishments and his fight to regain himself. Coach Donn Behnke describes the magical cross country season of 1985 when his Stevens Point High School team, led by an unlikely hero, captured the State Title. 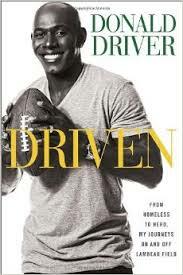 Green Bay Packer star receiver Donald Driver shares details about his life, discussing his childhood, upbringing, family, football, career, and more.